Writer’s Note: As this week marks the 17th anniversary of 9/11, I’d like to share the story of Rick Rescorla. Chances are you know who he is — several documentaries feature his story as a 9/11 hero. He was also in the battle of Ia Drang. Remember the book and movie, We Were Soldiers Once… and Young? That’s him on the cover of that book jacket. On the 10th anniversary of 9/11, I came to know his widow Susan, who asked me to keep his story alive. In an effort to keep that promise, here’s the story I wrote about Rick after our conversations. It first appeared in Canada Free Press on Sept. 10, 2011. Moments after the first airliner slammed into the North Tower, Rick Rescorla threw on his suit jacket and left his office on the 44th floor of 2 World Trade Center, bullhorn, walkie-talkie and cell phone in hand. It was shortly after 8:46 a.m. on Sept. 11, 2001, and an otherwise cloudless sky was filling with thick black smoke that now poured from the North Tower. The Port Authority of New York, the World Trade Center’s owner and operator, urged South Tower occupants to stay at their desks – an urging Rescorla promptly cast aside. A soldier of honor to be certain, he was also a man of great humor and striking intellect, undying compassion and loyalty, Rescorla held dying soldiers in his arms, comforting them, telling them they’d be fine, no matter their condition. He sang songs he’d learned as a young boy in his native town of Hayle, his baritone voice bringing a sense of reassurance when all hope seemed lost in that valley in Vietnam. And he vowed to never leave a soldier behind. When his deployment was over, Rescorla returned to the U.S. and became an American citizen. He believed that America was the place where anyone could accomplish anything they wanted to. He was only 28 years old, but his character was already admired by all who knew him. For Rescorla, there was no other way to live, but with honor. Such was the life he continued to create for himself over the next 30 years. In 1984, Rescorla was hired as director of security by Dean Witter Securities, where he implemented various safeguards, including evacuation plans and drills. His security staff numbered almost 200, and each man was expected to dress in a suit and tie. Rescorla pulled money from his own pocket for those who couldn’t afford to abide by the dress code. Similarly, he rewarded those for a job well done – again, out of his own pocket. When Pan Am flight 103 was bombed, his concerns centered on the safety of the employees. He warned the Port Authority that radical Islam would now set its sights on the United States of America, and the World Trade Center would be the perfect target. But his warnings were ignored, even after the 1993 bombing left six people dead. He knew another hit would come, and predicted it would come from the air. Again, his warnings were left unheeded. Mandatory – and unannounced – evacuation drills began immediately. That same year, Rescorla met the love of his life, Susan, who he married in February of 1999. A highly decorated officer, he rarely talked about his days in the military. He focused on his life with Susan and their plans and goals for the future. They even discussed his retirement. But on that September morning in 2001, fate had other plans. Shortly after helping them to the stairwell, Rescorla paused briefly to call his bride, who was sobbing almost uncontrollably. The call had been short, but long enough for Susan to hear a certain finality in his voice just before the line went dead. Dan Hill reached Rescorla one more time, pleading with him to get out of the building. The second plane hit shattered any notion that this had been an accident. The United States of America was under attack. “I’ve got people to take care of,” he said, asking his best friend to call Susan and calm her down. The line went dead, dropping their connection. Rescorla persisted in evacuating the building as the heat continued to build in the stairwell. But he never removed his jacket. Never quit singing. And never quit comforting all who were weary, scared, tired and without hope. “Today is a day to be proud to be an American, tomorrow the world will be looking at you,” he said. I’ll get out – after I’m sure everyone else is out. Rescorla headed back up the stairwell with his deputy Wesley Mercer and two security guards. He hadn’t talked much about his days as a soldier, but in his heart, he was still a warrior, willing to sacrifice his own life if it meant no one would be left behind. Rescorla was continuing his ascent in the stairwell at 9:59 a.m., when 2 World Trade Center imploded. Rick Rescorla’s remains were never located. But 17 years later, he lives on in the hearts of all who remember him. Beth Underwood is an award-winning journalist whose work has appeared in numerous newspapers and magazines. She shares stories of everyday life that entertain, inspire, and encourage others. 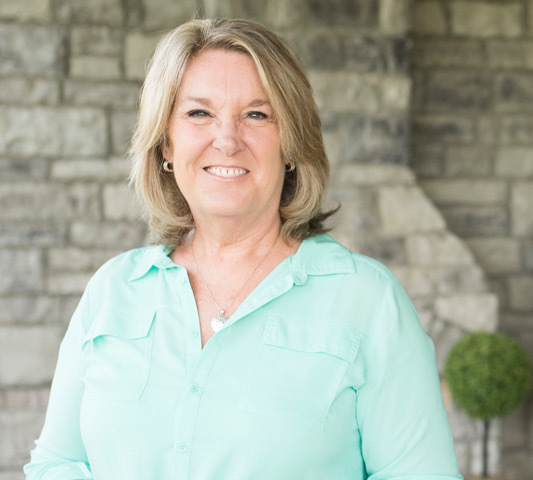 Her books include Gravity, a narrative nonfiction account of a small group of Tennessee National Guardsmen, and Talk Bourbon to Me, a lighthearted look at Kentucky’s native spirit. Drop her a line at beth@bethwrightunderwood.com, or visit her website at bethwrightunderwood.com.